Russian aircraft carrier the Admiral Kuznetsov will join the country’s naval group operating in the eastern Mediterranean, the Defense Ministry has announced. Officials say the carrier could be used to aid the anti-terrorist mission in Syria. The decision was announced on Wednesday by Russian Defense Minister Sergey Shoigu during a meeting of ministry officials. “Currently, the Russian naval group in the eastern Mediterranean includes at least six warships and three or four support vessels from all fleets. To increase the combat capabilities of the group, [we] plan to include the cruiser Admiral Kuznetsov into its ranks,” Shoigu said. 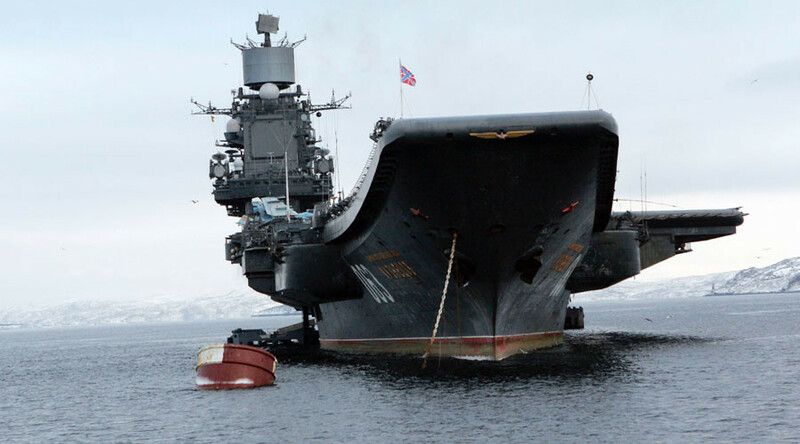 According to a source cited by Interfax, the Admiral Kuznetsov will join the country’s naval unit in mid-October, with the mission expected to last between four and five months. The aircraft carrier may also join the Russian anti-terrorist operation in Syria, the chief of the parliamentary Defense Committee, Vladimir Komoedov, told Interfax. “It will depart on time if the situation requires it and we’ll need to support our guys in Syria. 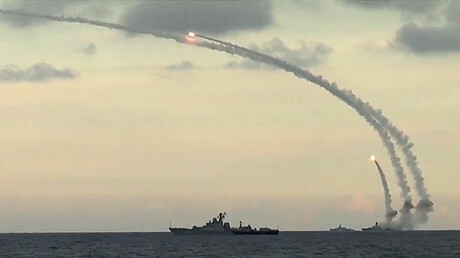 There are no obstacles here,” Komoedov, who is also a former commander of the Russian Black Sea Fleet, said. There is no official confirmation from the Defense Ministry that the carrier will support the Russian mission in Syria, however in July, TASS issued similar reports, citing its own source. According to Interfax, the vessel, which has recently undergone maintenance, will carry state-of-the-art MIG-29KR and MIG-29KUBR jets, as well as SU-33 fighters. In addition, it’s reported that the onboard squadron will include KA-52K assault helicopters. “The KA-52 helicopters are already undergoing tests. The pilots report on very positive impressions,” the director of the Russian Helicopters company told Interfax. The Admiral Kuznetsov is currently Russia’s only aircraft carrier, and was commissioned in 1990. It is capable of harboring over 50 aircraft. The vessel is also armed with ‘Granit’ anti-ship cruise missiles and as well as ‘Blade’ and ‘Chestnut’ gun systems. A brand-new aircraft carrier is expected to enter the Russian Navy in 2025, Deputy Defense Minister Yury Borisov announced in May.